I’m wishing Raphael Happy Birthday a few days late. My news feed was buzzing this weekend with everyone’s favourite Raphael paintings, which is what alerted me this oversight. The good news is that it’s unlikely Raphael will mind my tardiness. Interesting note, one that I’ll be reminded of every Easter weekend from now on, Raphael was born and died on Good Friday, 37 years apart. Rumour has it his death was preceded by an uncontrollable fever that broke out during an evening of amorous pleasure with his model and mistress, Margarita Luti. Afterwards, not wanting to disclose the nature of his illness, he was given the wrong medication and died just a week later. Even 16th century historian Georgio Vasari recounted that Raphael was brought down by his excessive passion. There are worse ways to live and die, I suppose. Although how dreadful for poor Margarita. Pope Julius II commissioned for The School of Athens for the papal library in 1509. It’s part of a series of themed frescos depicting distinct branches of knowledge; Philosophy, Poetry (including music) Theology and Justice. School of Athens is an imaginary academy featuring some of the world’s greatest philosophers and thinkers from ancient Rome/Greece to the 15th century. It’s long been seen as Raphael’s masterpiece, embodying the classical spirit of the Renaissance. I think it’s best understood in context of the surrounding frescoes, rather than on its own. With the 15th century thrust toward humanism, it was important for the Pope to be regarded as balanced and progressive, embracing all the arts. 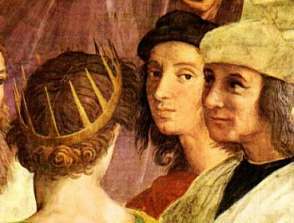 This close up details some of the philosophers and thinkers that Raphael portrayed, with Plato and Aristotle as central figures. I appreciated the inclusion of Hypatia, second century mathematician, philosopher and astronomer, and the only woman included in the academy. (Hypatia came to a rather fateful end; dragged naked through the streets by the christians, then while still alive, had her flesh scraped off with oyster shells. Nasty tale.) It’s been suggested that Raphael used Michelangelo as physical inspiration for Heracutus and Leonardo DaVinci as inspiration for Plato. 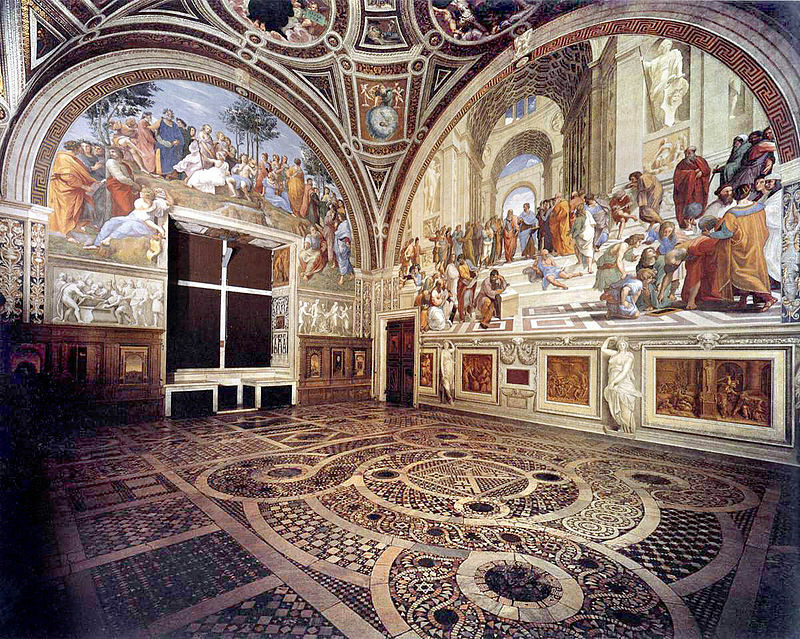 Vasari noted that Raphael also included himself in the painting, to the far right, next to Zoroaster. You can only see a portion of his face in the pic above, but note the close up below. Raphael is in the in the centre, staring out at us, full eye contact.) Nothing like a little self promotion. On a side note, it wasn’t unusual for Renaissance painters to include figures based on real people in their work. 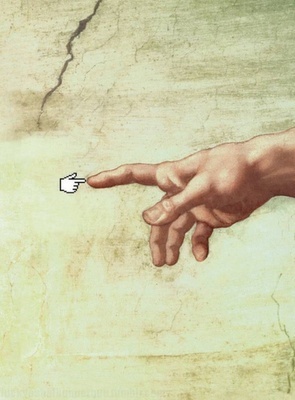 Michelangelo was painting the Sistine Chapel at the same time as Raphael was painting the Vatican Library. 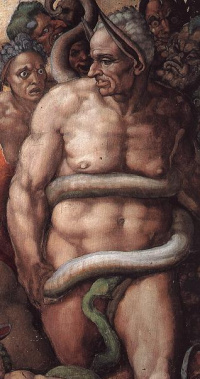 Rather famously, Michelangelo portrayed the Pope’s Master of Ceremonies, Biagio da Cesena (who had criticized Michelangelo’s work) as the god of the underworld in the Last Judgement, with donkey ears and a snake biting his groin. Such is the power of the artist. But I’m afraid I’m off on another goose chase. And the Sistine Chapel is a story of its own. What strikes me about The School of Athens, aside from my appreciation of Raphael’s artistic skill and the fresco’s theme, is the enormous amount of planning that must have gone into the prep work. Imagine having to decide who to include in the imaginary academy, where to place them, how to dress them, how their expressions will appear, who they’re interacting with – you get the picture. The composition of the fresco is a study in itself. The architecture would have been no easy task to execute either, especially on such a large-scale. It’s hardly a wonder that it took the then twenty-five year old Raphael two years to complete the masterpiece, which ranks alongside the Mona Lisa and The Last Supper. And so, Happy Belated Raphael. Five hundred years later, your contribution to the art world still amazes and awes. In case you’ve ever wanted to peek into the great impressionist painter’s house, here’s your chance. It’s in a quiet little village called Essoyes in Champagne-Ardennes, France and apparently, we’re among the first to visit. This is the gate leading into Renoir’s front courtyard. 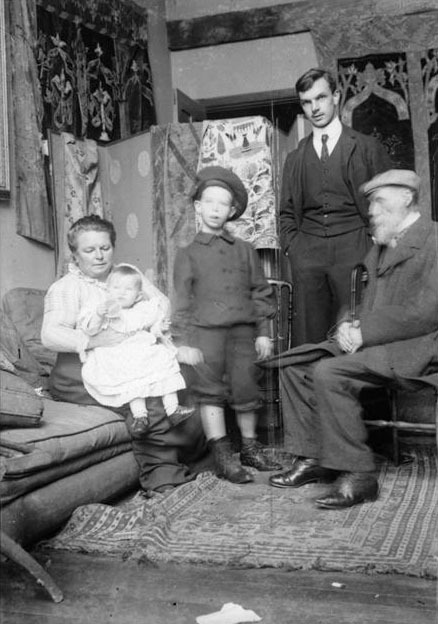 He lived here with his wife Aline, who was a seamstress and their three sons, Pierre, Jean and Claude. He died here also, with the house staying in the family until his grand-daughter sold it to the town Essoyes. 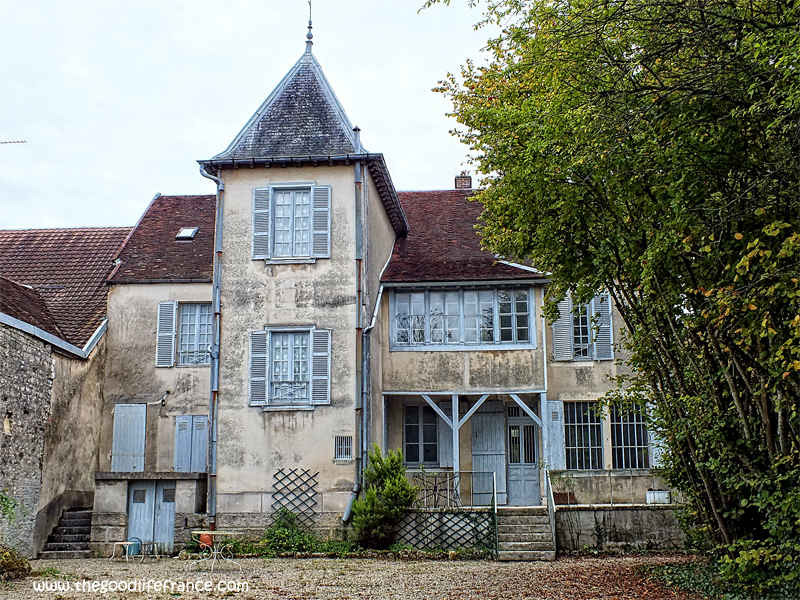 The town plans to open the house as a museum in 2017 but as of these pictures, it still looks exactly as it did when the Renoir’s lived here. Here’s a view of the back yard. And just down the path is the stream where Renoir painted well into his old age. 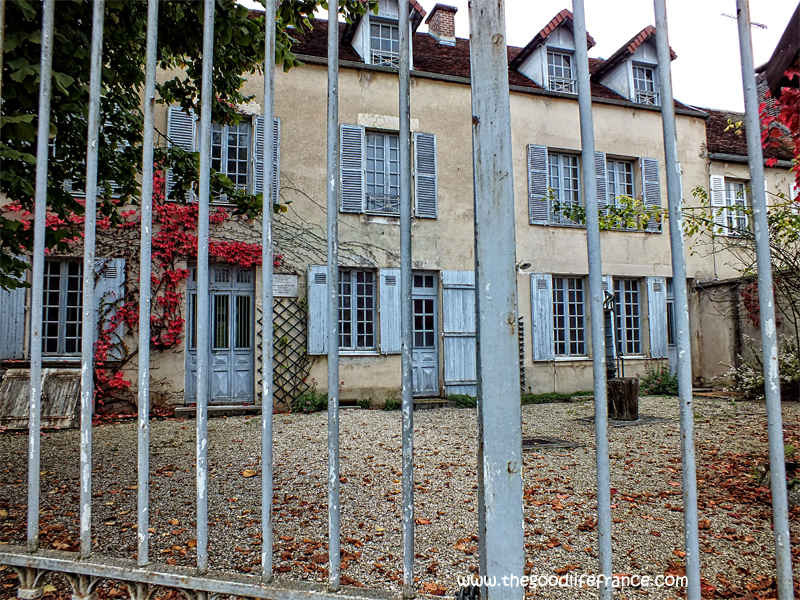 If you’re curious what’s inside, pop over to The Good Life France for a complete tour. Take your time, I’ll be waiting in the yard. I’m a bit worried about ghosts. I’ve been trying to settle into an ancient history paper this weekend, but my brain keeps taking off on me. Across my living room, the Mona Lisa, the Vitruvian Man and The Lady of the Dishevelled Hair are all vying for my attention. Seems I’m on a bit of a Leonardo kick. Over the past couple years, I’ve been taking art history courses spanning from prehistory to the twenty-first century. I’ve been running back and forth along that timeline ever since. Every time I think ‘the Renaissance is definitely my fave!’, I get swept up in compelling stories of yet another century, another country or continent. Maybe there’s no such thing as settling on a favourite point of history. A few days ago I returned to the Renaissance and watched a fascinating dramatized documentary, ‘Inside the Mind of Leonardo.’ What a mind. Painter of the immortal Mona Lisa and The Last Supper, inventor, architect, physicist, geologist, civil and military engineer, botanist, anatomist, map maker, musician. 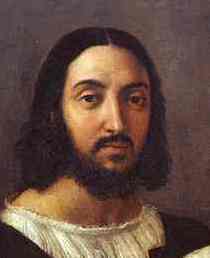 I’m awestruck by the genius of the original Renaissance man. Wouldn’t it be incredible to poke around in the diary of someone like that? Actually, if you go to the Pinocoteca Ambrosiano and the Bramante Sacristy in Milan, you can. 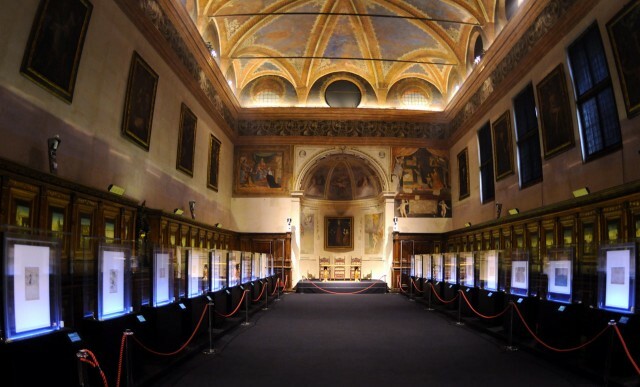 That’s where a portion of the Codex Atlanticus, Leonardo’s diary is housed. Of course, you’d have to learn to read Italian backwards and probably get some sort of security clearance to see it all. But part of the collection of writings and drawings are on public display. 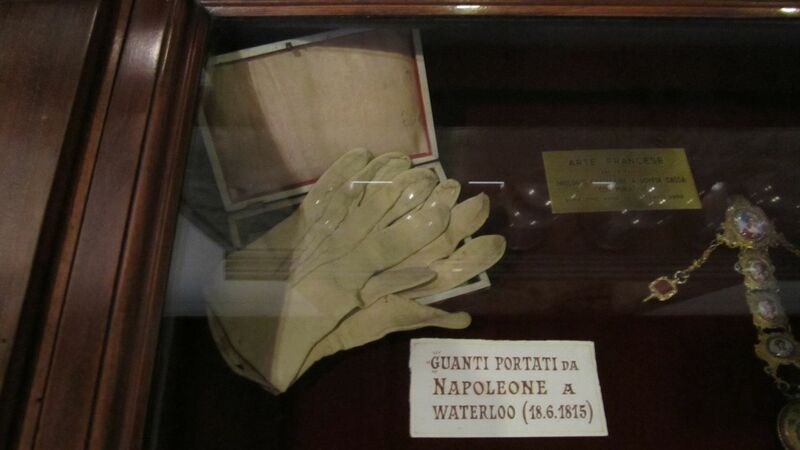 While you’re there, you can also see the white gloves that Napoleon wore at the Battle of Waterloo. History is such a magnificent goose chase, isn’t it? From ancient Egypt to the Renaissance to the Napoleonic Wars in just three paragraphs. But back to Leonardo. How do you even begin to consider his artistic, scientific, philosophical and engineering innovations without filling a library? Or at the very least, writing a paper? I won’t subject you to that, but can I ramble a bit about wings? Leonardo’s wings specifically. Until last week, I didn’t know that twenty-first century flight traces its beginnings to fifteenth century Europe. I missed acquiring this apparently common piece of knowledge as a kid, which makes it all the more exciting to discover now. 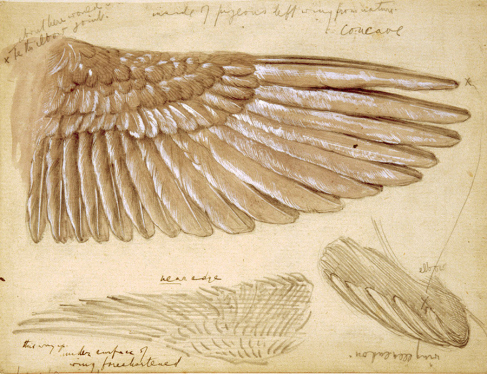 Leonardo was perhaps the first European to envision the aerodynamics of modern flight. It became a lifelong preoccupation, though his efforts wouldn’t be realized for another four centuries. As a youth in Florence, nature was the foundation for Leonardo’s ideas, including flight. He examined birds, bats and insects; analyzing and sketching their internal anatomy. I was briefly put off, imagining young Leonardo killing and dissecting living things in his experimentation. But this apparently isn’t true. Historians seem to agree on Leonardo’s refusal to consume animals and his recognition of the cruelty of mistreating them. This wasn’t at all common practice at the time. Here’s some interesting info on Leonardo’s vegetarianism. Strange, I’m considering this myself now also, not something I was expecting to address via art history. Fifteenth century Europe didn’t look favourably on Leonardo’s investigations into flight. The church viewed much of science as magic, a pursuit that could get you hung or beheaded for heresy. Galileo, Leonardo’s contemporary, spent the last ten years of his life on house arrest for his views on heliocentrism, a view Leonardo supported also. But I’m off on another chase into the Copernican Revolution. How can anyone study history without getting hopelessly side tracked? My point in this meandering reflection, is that advancement of flight wasn’t based on the wings of birds, but rather on the wings of bats. The above left illustration is a bat wing, which later was implemented in the design of the glider, which eventually led to modern flight. I spent quite a while perusing this here. I’m not sure why this all strikes me as so significant, other than that I hadn’t considered it before. I didn’t know last January when I traveled to Europe, that I was figuratively flying on Leonardo’s wings. As I was saying, art history is taking me to many uncharted places. I’ve lost roughly thirty-six hours to this pleasant diversion and my ancient history paper is still waiting. 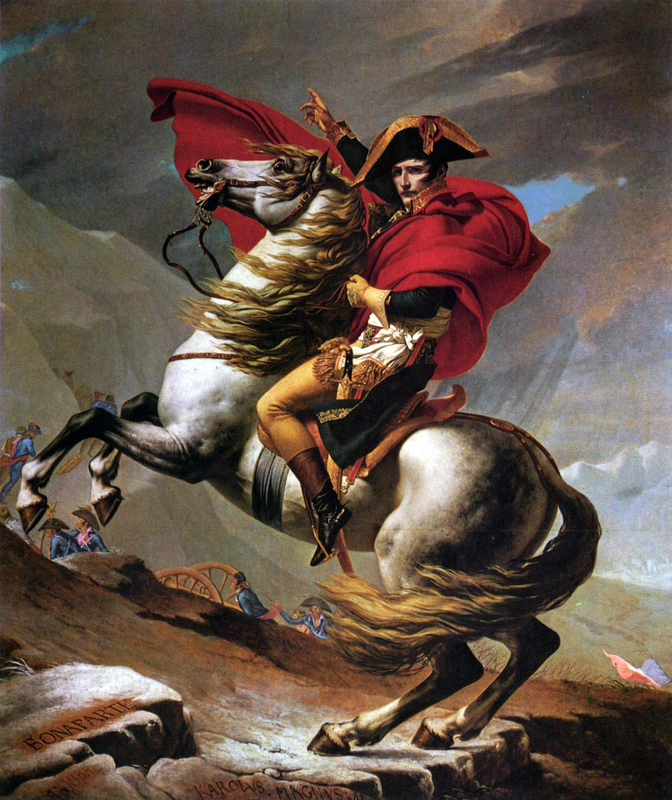 But before I try to focus on that, let me leave you with this picture of Napoleon’s white gloves. I’m sure before long, they’ll be wrapping their white fingertips around my shifting attentions also. Not sure how I’ll ever be satisfied again after seeing French artist Clare Basler’s enchanting Paris chateau, garden & studio. This is pretty much what my life looks like at the moment. 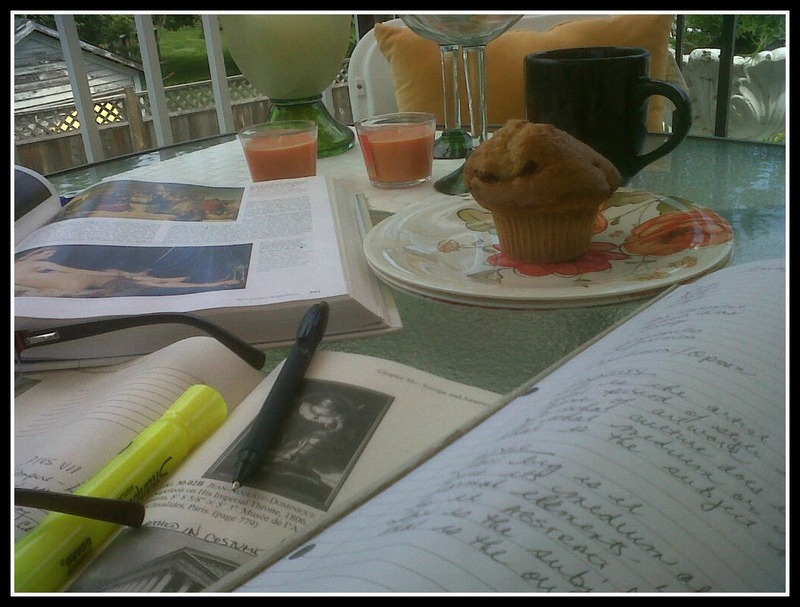 There are some obvious perks of course; the sunny deck, Italian lavender, good coffee, new pens, the freedom to study – but it’s been a daunting challenge to cover six hundred years of art and history in six weeks, with almost no study skills, a ten minute attention span and high personal expectations. Back here, I got some sage advice [which I smugly overlooked] about why not to do a condensed summer online art history course. Turns out it was bang on. In hindsight, this kind of journey might be better savoured over twelve weeks in a real, rather than virtual classroom. I’m only slightly stressed by the five assignments, eight quizzes, essay and final exam within the next two and a half weeks. This student life isn’t quite what I imagined. But that being said, having breakfasted, lunched and dinner-ed with Brunelleschi, Borromini, Bernini and Bonaparte yesterday, today I’ll be coffee-ing with the Impressionists. I guess it could be worse. Happy Weekend all, wherever your journeys take you. 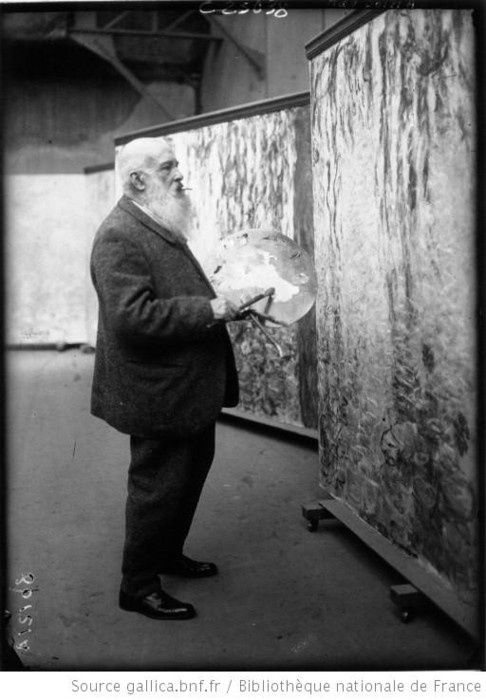 Monet painting the Water Lilies, dignified, in his suit. How did he ever manage not to ruin his good clothes? 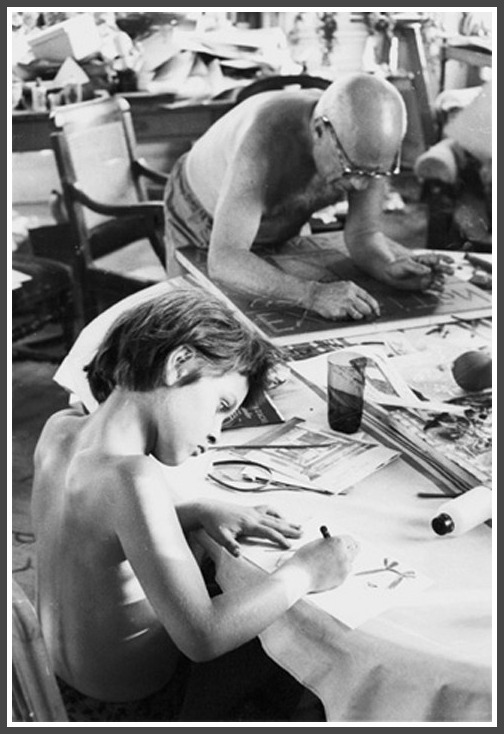 Picasso, sketching shirtless with his grandson Paloma, while smoking a cigarette. Perhaps he ruined too many shirts. 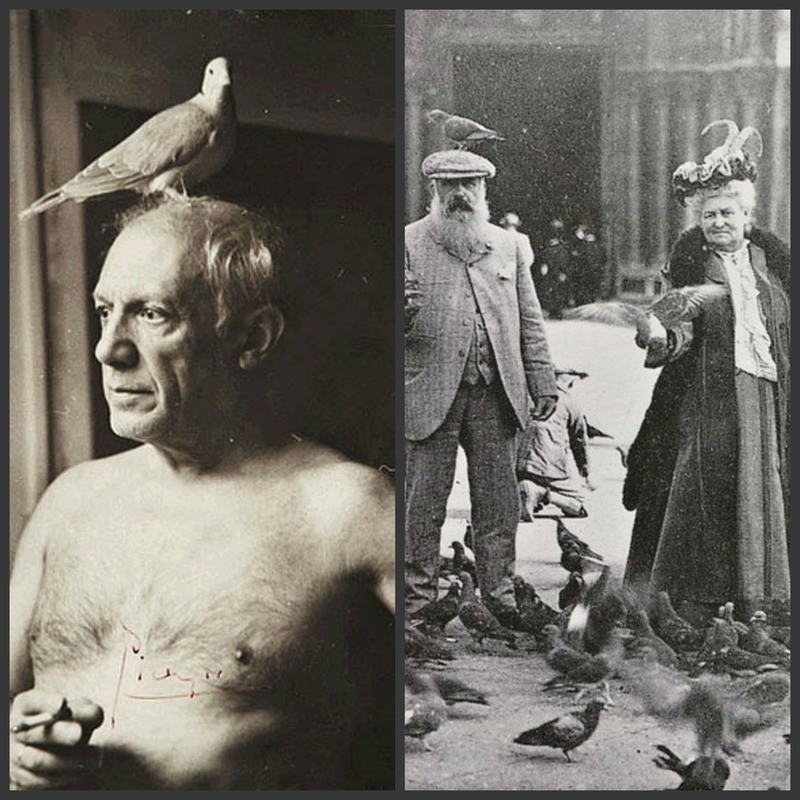 And Monet, Mrs. Monet and Picasso (half naked again) with birds. Is it an artist thing to be photographed with a bird on your head? 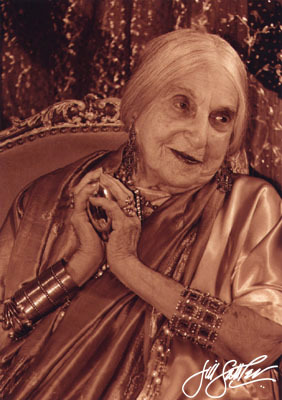 i’ve been reading recently about the american artist beatrice wood. i chanced upon her on pinterest and was taken by her long grey hair and quote at 104 years, ‘i owe my longevity to art books, chocolate and young men’. so googled her immediately on the merit of that comment. what i found was a colourful bohemian romantic, well ahead of her time. ditching her aristocratic new york background in the early 1900’s, she fled for france to study the arts. there she experimented with drawing, painting, acting, two husbands and seven great loves before finally landing in pottery and writing in her later career. the titles of her early autobiography, ‘i shock myself’ and a later memoir, ‘touching certain things’ made me smile. a fuller biography can be found here and is a fascinating story. i find other people’s journeys of creativity very helpful. i’m unsure of my own and think, maybe a little naively, that i should be able to imagine into being something new and original instantly. i collect ideas, words, shapes, and colours like a junkie, recombining them into what i fear is bad art – and am left feeling sheepishly like a fake. then wonder if that’s normal process for people who create things or just me being, oh dread…a poser.